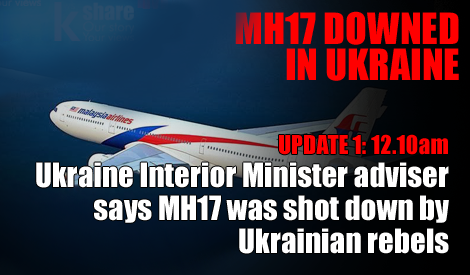 Russia has denied involvement in the downing of flight MH17. Now they're demanding answers to some very basic questions about Kiev's actions related to the crash and their immediate, unsubstantiated claims that Russia was to blame. Russia's Deputy Defense Minister was interviewed by RT who made these questions public. Yes, RT is clearly biased, but who wouldn't like to know the answers to these questions? 7. Why was airspace over the war zone not closed for civilian flights, especially since the area was not entirely covered by radar navigation systems? Clearly, there's some local territorial bickering in that questionnaire, but wouldn't you like to hear Kiev's response?